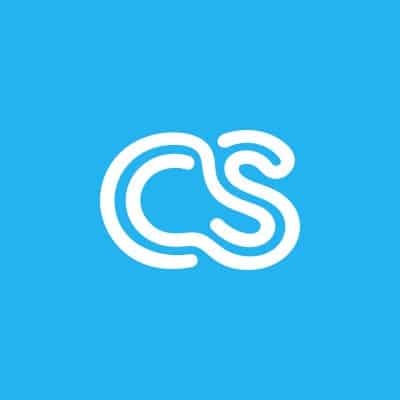 (Fortunately) we don’t have to travel a great deal here at crowdSPRING; we do the bulk of our communication with partners, funders, and customers over the phone, via email, or on Skype. However, when we do travel we are ever constrained by our limited travel budget, over-extended scheduling, and our pesky insistence on convenience, creature comfort, and cut-rate pricing. First, it should be easy to research your travel options, book your flights and reserve your cars and hotel rooms. Lots of great sites are available for this, but my two favorites are Hipmunk and Kayak. These sites allow for multiple searches and easy comparison through their simple interfaces. Kayak is the more fully-featured of the two, with the ability to save searches, compare flights and prices with other sites, set up and receive pricing and scheduling alerts, and quickly sort and filter results. But even in the absence of lots of feature, Hipmunk shines for it’s intuitive interface and ease of use. With an innovative “timeline” display it is super-simple to compare flight schedule, price and duration, And Hipmunk’s proprietary algorithm allows you to view the results sorted by the relative “agony” of all those factors combined. A great travel app can really help to speed your trip and make it easy to share your itineraries and travel details. Tripcase allows you to search for and input your flight, car, and hotel details online and automatically sync those to your smartphone. Once created, you can share those details via Facebook or Twitter, view maps and seat charts, receive alerts on gate and schedule changes, and edit the details on the fly. When traveling by air the biggest obstacle to your convenience and efficiency is the airport itself. There is an art to making your way from curb to gate, and there is plenty of help available; from planning ahead to choosing the right luggage and clothing and even to selecting the “best” line at security, making good choices can reduce stress and save time. So, my advice comes in three easy steps: 1) wear slip-on shoes and avoid belts and other clothing that contains metal, 2) travel light: a backpack or other “checkpoint-friendly” laptop bag along with a small roll-on should be enough for most travel occasions, and 3) give yourself plenty of time – wouldn’t you rather have an extra 15 minutes at the gate reading your magazine or checking your email than to be stuck in a line stressing about whether you will have the door slammed in your face when you arrive late to the gate? The Transportation Security Agency has actually created a great web resource with tons of great advice and ideas on what you can do to smooth your journey through the airport. Be sure to choose your car and hotel wisely for convenience as well as comfort. A hotel nearby your meetings will save you time and hassle and a good rental company can also help make the goings smooth. I particularly like National Car Rental’s Emerald Club which allows me to book the car ahead of time, get my contract taken care of and choose a car quickly and easily so I can get out of the lot and onto the road. Pick your hotel well for geographical convenience as well as price and comfort. A great online resource is TripAdvisor, the community-driven website which provides rating and user reviews of hotels in virtually every part of the country as well as many overseas cities. Simple to search with easy sorting and filtering options, as well as tons of recent reviews from other guests, I rely on this site whenever I need to make a lodging decision. I love to eat out. And I love Yelp. Yes, I know that there has been criticism, and yes I know that there has even been a whiff of scandal associated with the site, but for quick user reviews, great maps, tons of content, and easy-to-use interfaces in both the online version and smart-phone application, Yelp is still my go-to resource. Two words that make eating easy when in many strange cities? “Whole” and “Foods.” This gourmet grocery has a prepared food section that rivals the best restaurants in many cities and is priced so well that for half of what you would spend at the hotel dining room you can walk out with enough food for the entire team. Plus, the wood-oven pizza, quite simply, rocks! When it comes to entertainment, my recommendation is that you bring your own. Your laptop is a media center, and with the addition of an small external drive and some light speakers (or great headphones) you can carry with you a huge collection of music, movies, and TV shows. So settle in, brew a cup of coffee or hot chocolate and fire up the latest episode of Entourage! Membership programs and discounts abound. There are sites available for professional organizations, industry groups, and other common-interest organizations which offer discounts, group benefits, and one-time offers which can save you hundreds of dollars. One that we use is FoundersCard, a site for entrepreneurs that partners with companies to offer discounts on services, and airlines and hotel chains which provide member benefits. Hey, even Gary V. has a discount offering for free shipping and discounted cases of wines from WineLibrary! With the resources available on the web there is absolutely no reason not to comparison shop. Sites like Kayak and TripAdvisor provide powerful tools but many others like Orbitz, Priceline, and Travelocity also offer tools which help you to search for the best price available. And be sure to leverage that information; many hotels will be happy to upgrade you to a better room, provide free wireless internet, or even throw in a free drink if you make sure to ask at the desk when you check in. Just be sure to mention how their competitors are offering these perks. Finally, don’t forget the benefits available to you via airline frequent flyer programs and credit card reward programs. You’d be surprised at how many free flights and hotel nights you can earn just by charging your monthly web hosting to your Visa card. FrequentFlier provides lots of details on the various airline programs and USAToday has put together a nice chart for comparing hotel loyalty programs, too.